Live Streaming Video- LIVE video will begin at 3:00pm CT. Also you can check out our NBAA facebook page for coverage of the event. Registration Opens February 1st, for the 145 qualified teams for the 2019 NBAA National Championship on Table Rock Lake in Kimberling City, Missouri. Registration will remain open, through Sunday March 3. The NBAA National Championship event dates are April 3-6, 2019. This is a No Entry Fee event, there will also be a Big Bass pot each day of the event if you wish to get into on sight. Numerous teams have asked about also having an optional side pot fee to increase their chances at a payout for this event. So, this year at registration, each team will have the OPTION of participating in the side pot by contributing $100 per team to the pot, this is STRICTLY optional. Only those teams who enter the option pot will be eligible any payout from that pot at 100% to the top 20% of the participating option pot teams at the conclusion of the event. The first-place prize package for the 2019 Championship has been upgraded to the all-new Ranger RT188 aluminum boat package with matching Evinrude 115 HP outboard motor. The National Championship is a Ranger Cup qualified event, and is worth an extra $500. Don forget to sign up for Ranger Cup Contingency Program every year by clicking here. 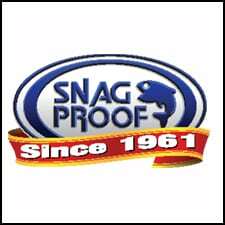 In addition to the top prize listed above and cash payouts to top finishers NBAA sponsors Ranger Boats, Evinrude Motors, Humminbird Electronics, Minnkota Trolling Motors, Bass Pro Shops, Cabela’s, T&H Marine, Snag Proof & Faculty of Fishing will add thousands more in product to the prize pool at the event. Additionally, the Team of The Year from each of the NBAA divisions nationwide will be competing for their own pot of funds that only those Teams of The Year are eligible to win. Daily weigh ins are free to the public, and will be held at Port of Kimberling Resort in Kimberling City, MO. Each day weigh in will be streamed LIVE on the world wide web at www.nbaa-bass.com. For complete details of the championship, look on the home page of the NBAA website for the National Championship tabs. Then look for the “Fact Sheet” that will give you all the details, times, and places for all the week’s events. If you would like to earn a spot in the 2020 event it is easy to sign up your own NBAA division today! Just click the link on this website to “start a NBAA division” or call Randy Sullivan at 580-716-4261. You fish close to home events, sleep in your own bed, and YOU could earn a spot to come to a once a year vacation destination in the central US to fish for a new Ranger Boat! If you are qualified and plan on fishing the National Championship on Table Rock Lake in April, each angler must have a current 2019 NBAA membership or join at the time of registration. Anglers also must have been an active NBAA member in 2018 to participate. Memberships can be renewed by calling the home office at 580-765-9031, by renewing online using the championship registration form, or through the website: https://nbaa-bass.com/membership/ . You must have a valid membership before registering in the system or it will charge you the REGULAR NBAA membership fee. On site mandatory check in, banquet, and rules briefing for all registered contenders will be Wednesday afternoon at the Kimberling Area Library from 4:00 – 6:00 pm with dinner and the meeting to start promptly at 6:00 pm. There is not very much “extra” parking at the Library, so please try to leave your boats at the hotel when you come to Registration. Dinner will be served at the briefing. All teams will compete on Thursday, Friday & Saturday, April 4-6. The highest finishing teams total combined weight for the three combined days will win the event, the new Ranger Boat powered by Evinrude, and the title of NBAA National Champions. OFF Limits & Pre-fishing: There is no Off-Limits Period prior to the week of the NBAA National Championship at Table Rock Lake. From now until sundown on Saturday, March 30th, you can pre-fish as many times as you like with anyone you wish in order to gain information about the lake. However, the NO INFO Rule goes into effect on Sunday, March 31st at 12:01 am and runs through the conclusion of the tournament on Saturday, April 6th. Beginning Sunday, March 31st, you may only fish with your registered partner and may only talk “Fishing” with other NBAA tournament contestants. Official practice days are Sunday, Monday, Tuesday from safe light to dusk and Wednesday is safe light until 3:00 pm. (March 31 – April 3). Tournament competition days are Thursday, Friday & Saturday April 4-6 and it is a cumulative three-day weight. All teams are expected to fish each of the three days. I look forward to seeing each of you in April! Good Luck to all qualified teams! 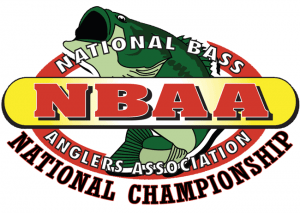 PONCA CITY, Okla. (November 26, 2018) – The National Bass Anglers Association announced today that Table Rock Lake in Kimberling City, Mo., will host the 2019 NBAA National Championship. Qualified teams will come from across the country for a premier event on one of the top lakes in the country April 4-6 to compete for a new Ranger Boat Powered by Evinrude. Table Rock Lake Chamber of Commerce will host the national event as anglers travel from North Carolina to Montana and many states in between to stay a week in the region. NBAA is excited to work with the Table Rock Lake Chamber of Commerce to roll out another great event. A detailed fact sheet will be posted to the website at www.nbaa-bass.com with more information needed for those attending the event. Wednesday evening, April 3rd will be registration / rules meetings, while competition days will begin Thursday, April 4th and the 2019 Champions will be crowned and awarded their new Ranger Boat with Evinrude outboard on Saturday, April 6th. For more information about, NBAA, visit www.nbaa-bass.com or call 580-765-9031. Look for NBAA on Facebook at www.facebook.com/nbaabass. Results and TOY Points Updated on November 5th! Now I’m getting the second higher education and working at the same time. It is very difficult to keep up, and during the session it’s almost impossible! I’ve read a lot about Buy Modafinil on the website, and found out that it was the drug improving memory and attention. I decided to try it. I bought Buy Modafinil. My exams were perfect, studying became much easier, and I learned and remembered the material much faster. After all, the main action of this medication is aimed at optimizing the performance in case of fatigue. Check out the results on the Schedule and Results page by clicking HERE.